Knowing what charge-off means can make it easier to structure your debt relief efforts. When you go past due on a debt, the phone calls begin pleasantly enough. Customer service representatives try to move you to make a payment in as kind of a manner as possible. But within a few months of missing a payment, they start talking about charging off your account. Nobody explains it to you, but it sure sounds scary. 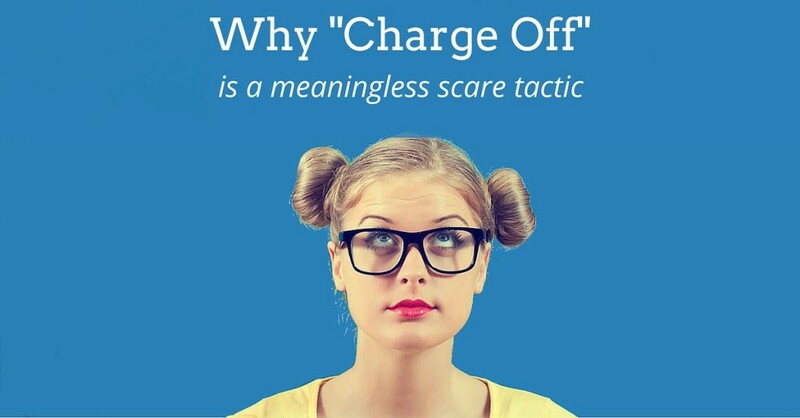 Here’s what you need to know about charge-offs. Whenever I talk with someone about getting them out of debt, they claim an account has was charged off so they don’t owe the debt anymore. Unfortunately, that’s not the case. A charge-off is a creditor’s notation that it has no belief that it will be able to collect on the debt. It’s a bookkeeping entry that has no effect on your obligation to pay. Federal regulations force creditors to charge off revolving credit accounts such as credit cards after 180 days. The creditor’s internal collection department calls when your account goes past due. There is no debt collection company involved at that stage. That’s good news for yo because the creditor doesn’t have any reason to be nasty or aggressive. They want to be friendly so you’re more likely to pay the bill. That saves them the costs associated with hiring an outside collector. The internal collection department isn’t subject to federal laws governing how debt collectors operate. Some state collection laws extend to original creditors, but the federal rules don’t apply. The creditor charges off the credit card account after 180 days. At that point, it has two choices – take the loss or try to make some of the money back. Given those options, you shouldn’t be shocked that the creditor sells the account to a debt buyer. Those debt sales are usually negotiated years ahead of time so the transaction is done automatically. Under these agreements, called a forward-flow or future flow agreement, the account is automatically transferred to the debt buyer the minute the account is charged off in exchange for the purchase price being transferred to the creditor. The creditor limits losses, and the debt buyer gets the right to collect the full balance due. It doesn’t matter how little a debt buyer pays for your account. If you owed the money before the sale, you owe still owe it. The debt buyer can still collect the full balance due on the account because that’s what it bought. Your obligation is based on the balance due, not based on the amount the debt buyer paid. whether the account has previously been placed in collections. Depending on the amount paid for the credit card debt, the debt buyer may be willing settle for less than the balance due. That’s got nothing to do with the amount of money you owe, though – only the willingness of the debt buyer to resolve the account. Whenever you don’t pay a debt according to the original terms of repayment, that’s bad for your credit. A charged-off debt is bad not only because it indicates that you didn’t pay the debt according to the original terms, but that it’s still outstanding and the creditor has no realistic hope of you ever paying it back. If you have charged off debts on your credit report and decide to file for bankruptcy, you should include those debts in your bankruptcy case. If you’re going through debt settlement or credit counseling, account for those charged-off accounts. If you’re paying off your old debts, pay the charged-off ones as well.